Blake Lawrence, Dead Reckoning, 2018, video still. Image by Lou Dietz-Henderson. In partnership with Art Month Sydney, Willoughby City Council presents an exhibition curated by Art Month Sydney’s Artistic Director, Kate Britton. The Australian psyche is haunted by water. Our home is girt by sea, yet water is scarce. 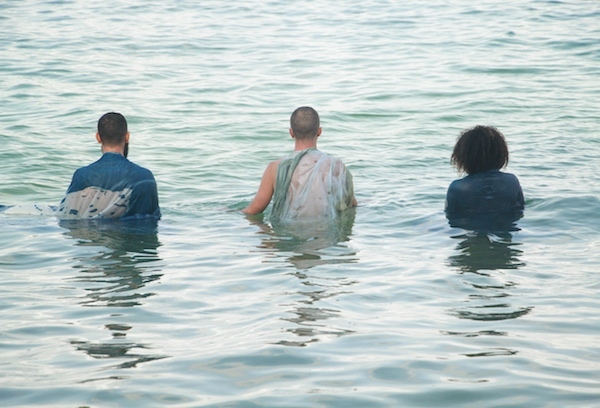 SaturatedTerrain showcases the work of five artists who present explorations of water that celebrate ancient knowledge, quiet power, strength in fluidity, and the possibility for transformation. Artists: Tom Blake, Kieran Bryant, Aunty Ethel-Anne Gundy, Shivanjani Lal and Blake Lawrence.